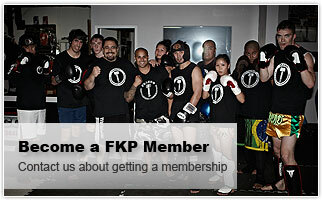 Whether you’re a first-timer or an aspiring fighter with UFC dreams, FKP MMA is the place for you. For over 15 years, FKP founder Chris “Mjolnir” Franco has been both an elite-level MMA fighter, and one of North America’s most accredited trainers for kickboxing and MMA. Boasting a top-tier staff of instructors that includes numerous champions of MMA, Muay Thai, Jiu-jitsu, Karate, Wrestling and Boxing, FKP MMA has something for students of all levels and ages (be sure to ask about our extremely popular children’s program). As the founder of the first mixed martial arts (MMA) school in Canadian history, Chris “Mjolnir” Franco brings 33+ years of Marital Arts experience to the school. He has served the Vancouver community for the last 17 years with self defence programs suited for people of all ages. Chris Franco has travelled the world teaching seminars, coaching, and cornering some of Vancouver’s top athletes such as Canadian MMA and Muay Thai champion Paul “The Mauler” Lazenby, Two Time World Jiu Jitsu Champion and Undefeated World BFL Amateur Welterweight Champion Jayden “Liquid Steel” Martin, Two Time World Jiu Jitsu Champion & Over 22 Gold Medals Won in Local tournament Competition – Maria “The Babysitter” Demers. He prides himself on FKP MMA’s diversity and accessibility to any and all students. 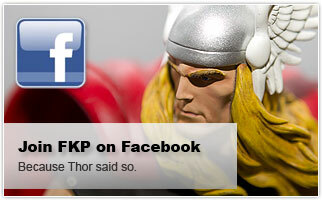 FKP MMA has been recognized world wide teaching the best of these art forms with commitment and dedication. We help you and your children develop discipline, self respect, healthy lifestyle and self defence skills. 2007/Present – Lower Mainland Community Marital Arts Instructor of the Year by FILES Magazine from 2007 to Present. UFC superstars, actors, and boxing legends such as Evander Holyfield, Hector Lombard, Demian Maia, Gina Carano, Dolph Lundgren, Shonie Carter, and Goran Visnjic have all visited, trained or taught at the FKP MMA dojo. 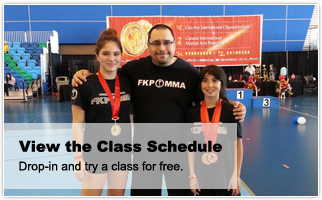 FKP MMA offers a special program for our youth today. Parents will get to witness their child’s development of confidence, discipline and self-respect over time. This is priceless for any parent looking to get their child into a program that emphasizes these benefits. Our school is home to professional fighters, homemakers, young children, weekend competitors and even people who are just looking to get into shape …and so can you! Offering classes 7 days a week with his award winning team of instructors. Connor McGregor vs Floyd Mayweather is on!